Whether you go on vacation to party or just kick back, there’s no denying you’ll need at least one great cocktail. 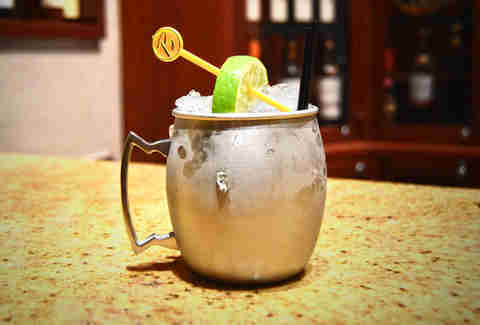 And at Atlantic City’s Borgata Hotel Casino & Spa, great cocktails are basically everywhere you turn. 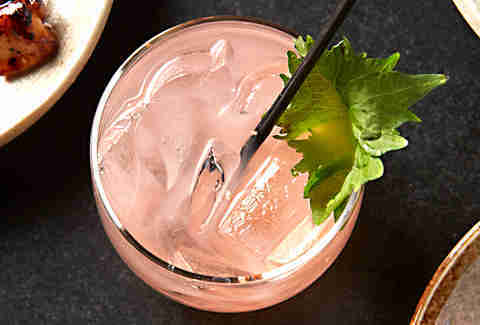 From simple classics to elevated twists, we’ve compiled a list of the resort’s tastiest drinks. Read now; you and your taste buds can thank us later. It’s not all about the food at Angeline, the newly-opened upscale eatery from Iron Chef and James Beard winner Michael Symon. (Though you’ve gotta try Mom’s Lasagne, the layered pasta dish loaded with sauce and creamy ricotta.) The decorated chef knows that no good meal is complete without a good drink, and while there are several to choose from, it’s The Lola Cocktail that really sings. With just a touch of Rothman Creme de Violette to give this lady her signature purple hue, The Lola mixes Ketel One Vodka, lime juice, and mint, making for a refreshing dinner complement. At his Borgata restaurant, celebrity chef Bobby Flay designed the menu to satisfy every palate. From the hearty cuts of steak to the signature Lobster Bar (an ode to its coastal home of Atlantic City), no one’s leaving Flay’s house hungry. Of course, he didn’t neglect the drinks. While there’s a little signature something for everyone, we just happen to think everyone will love The Eastsider. This combination of Bombay gin, cucumber, mint, and lime is so light and fresh, you’ll be trying to replicate it for the rest of the summer. B Bar is located right on Borgata’s casino floor -- meaning it’s high-energy, surrounded by excited gamblers, music, and shows. Of course with all that excitement, you’ll need a drink to match. That’s where The Pink Lemonade comes in. Made with Grey Goose Citron, triple sec, fresh sweet and sour, Sprite, cranberry juice, and sugar, this girl can out-party your whole crew. 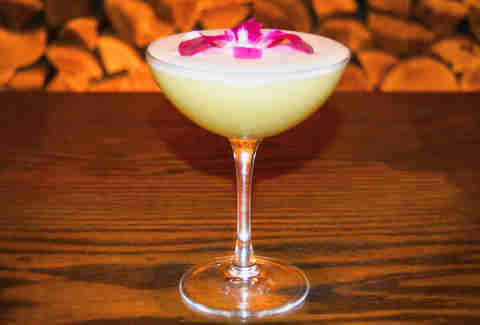 Made table-side, the signature drink at chef Michael Schulson’s Borgata restaurant Izakaya is The Twist, a combination of Japanese vodka and fresh grapefruit juice. Japanese vodka? you ask. While most would assume whiskey when they think of spirits from this East Asian country, it’s vodka that gives The Twist its twist. Suntory Ao rice vodka is carefully distilled using water sourced from the volcanic island of Kyushu (which is then filtered through a special bamboo filtration process). The result is a super smooth liquor with a subtle rice flavor -- and pairs perfectly with anything from sashimi to Japanese barbecue. The Borgata’s Long Bar is the ultimate crowd-pleaser. Not only does it feature upscale bar food like lobster mac n cheese (uh, yes please), but its menu has everything to drink -- from a variety of beers to any kind of cocktail your heart desires. 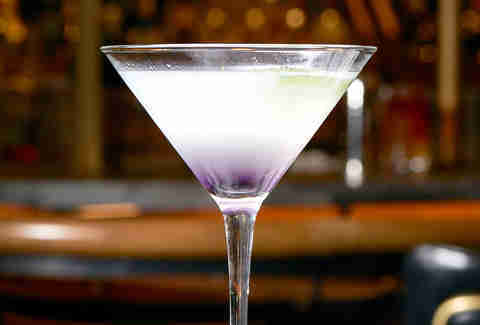 Stop in to try an Afternoon Delight. This mix of Jack Daniels Tennessee whiskey, honey, peach, fresh lemon, and iced tea can be ordered any time the bar is open and no… you don’t have to be kind of a big deal like Ron Burgundy to drink it. To accompany the premier cut of meat you’ll be dining on at Borgata’s Old Homestead Steak House, you’ll need a classic cocktail to go with it. You see, restaurateurs/brothers Greg and Marc Sherry believe in the saying: “Don’t mess with a good thing.” That’s why the best drink to order is one everyone already knows and loves: the Moscow Mule. The mixture of Belvedere vodka, ginger beer, and lime juice is just right here, and adds the ideal amount of fizz to your steak dinner. If you weren’t already impressed by Borgata’s roster of celebrity chefs, you’re about to be. 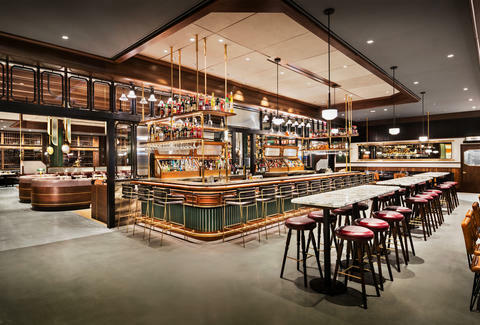 The Water Club’s lobby lounge, The Sunroom, has a menu designed by Food Network mainstay Geoffrey Zakarian (Chopped, The Kitchen). And to accompany his awesome food (and the beyond sophisticated gardens and cascading water), you’ll need a cocktail fit for royalty. Order the Pure Class, a drink that truly embodies its name. Belvedere vodka, Chandon sparkling wine, fresh strawberries, and lemon -- you don’t have to be decked out in pearls or diamond cufflinks to drink this, but it wouldn’t hurt. 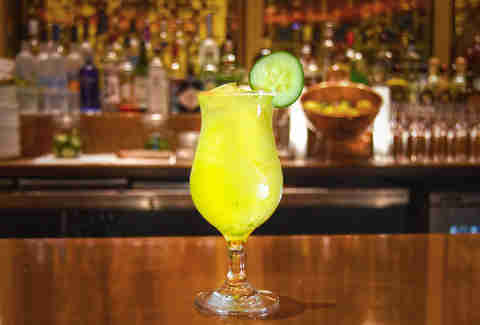 If tequila’s what you’re in the mood for, tequila’s what you’ll get at Borgata’s Gypsy Bar. This place specializes in drinks featuring the delicious agave spirit (with over 80 different kinds), so if you’re a fan, you can’t really make a wrong choice. Referred to as “shamelessly spicy,” the Jalapeño Magaraita uses jalapeño-infused Espolon Silver tequila shaken with Cointreau and fresh house sour. Scaredy cats, sip with caution.